Garcinia Cambogia Extra Review | Buy or a Scam? Page updated Feb 19, 2019. First published Nov 20, 2015. Garcinia Cambogia Extra is a weight loss supplement that contains Garcinia Cambogia as the main ingredient plus small amounts of raspberry ketone. This means that if Garcinia is effective for weight loss as some research suggests it is, this supplement will help you lose weight. The scientific evidence for Garcinia is not conclusive but this supplement does come with a money back guarantee so it seems that you could try it risk free and make up your own mind. We take an in-depth look at Garcinia Cambogia Extra to find out whether it is worth a try. 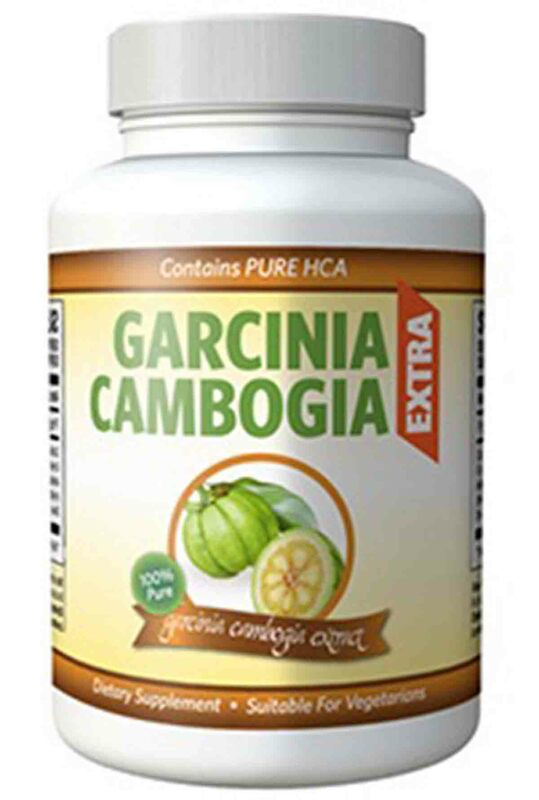 Garcinia Cambogia Extra is a straightforward looking supplement. It contains just two active ingredients; Garcinia Cambogia, plus smaller levels of Raspberry Ketone extract. You may find that if you combine this supplement with a healthy diet and exercise programme it offers support, which results in extra weight loss. Some clinical research does indicate that it works for weight loss although not all scientific opinion agrees. The good news is that all clinical tests found that garcinia was safe and well tolerated with an extremely low risk of any side effects. Results may not be mind-blowing, but it seems very likely that it may do something. It will probably depend in part upon your own physical makeup (as with most supplements). What Are The Side Effects Of Garcinia Cambogia Extra? Potential side effects of Garcinia Cambogia may include, nausea, headaches, and digestive discomfort. How Much Does Garcinia Cambogia Extra Cost? 1 x 60 capsule bottle of Garcinia Cambogia Extract (1 month’s supply) costs £34.95. Garcinia Cambogia Extra has many good points going for it. As soon as we felt we had spotted a flaw in the product information, we were given a prompt response by the customer service department via the live chat facility, which answered our questions. 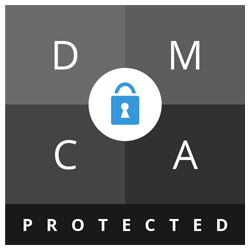 This company seems very reputable with a strong financial backing, and they seem unlikely to rip you off. We were unable to find any issues with parent company ERGO Group, Garcinia Cambogia Extra or Bauer Nutrition, the names associated with this supplement. In addition, the guarantee is impressive. It seems that you really can try risk-free and if you are dissatisfied simply return both the used and unused bottles for a full refund. 60 days allows plenty of time to make up your mind – you could use this supplement for over a month and still get a refund. When it comes to the supplement, the claims for Garcinia Cambogia remain unproven with some clinical evidence suggesting that it is effective for weight loss and other research saying that the effects are minimal. However, some research suggests that it does work as described and although we would like to see conclusive evidence that proves it one way or another; this is not available at the moment. The fact is that Garcinia Cambogia is a popular ingredient for weight loss. It is safe and many consumers are interested in trying it out. If you fall into this category, we feel that Garcinia Cambogia Extra would be a good choice. However, we are not 100% convinced by the various claims about Garcinia Cambogia. Therefore, we do not recommend Garcinia Cambogia Extra to our readers – although if you did want to try it out for yourself, it won’t do you any harm. Garcinia Cambogia has been touted for weight loss ever since this Asian fruit similar to a tamarind was featured on the Dr Oz US TV programme and heralded as a miracle. The Dr Oz TV endorsement has led to a rise in Garcinia Cambogia supplements worldwide, including numerous scam products hitting the market, and this combined with the overblown claims made by Dr Oz and some sellers mean it is hard to get to the truth about Garcinia Cambogia. However, Garcinia Cambogia supplements do remain popular and seem to offer a safe and stimulant free support to weight loss. Garcinia Cambogia Extra contains 1000mg of Garcinia Cambogia per capsule, of which 60% is composed of Hydroxycitric acid so looks to be an effective serving. Research suggests that the Hydroxycitric acid (HCA) contained in the rind of the fruit suppresses the action of a digestive enzyme called citrate amylase, which is present in saliva. The enzyme helps break down sugars and converts these to fat, so blocking this function can help prevent fat storage. Other research suggests that Garcinia Cambogia can improve mood and help prevent food cravings. This means that Garcinia Cambogia may work in two ways to help support weight loss. Take one (1) capsule twice daily 30 minutes before a meal with a large glass of water. You can take it in the morning or afternoon. This supplement is suitable for Vegans & Vegetarians. The other ingredient in this supplement is Raspberry Ketone – a fruit extract derived from the phenols contained in the fruit, and responsible for the distinctive raspberry smell. Some evidence suggests that this may be linked to adiponectin, a hormone in the body that is responsible for many processes in the body, including the metabolism and fat storage. Garcinia Cambogia Extra is made by Bauer Nutrition, and according to the customer service department is manufactured in the UK so conforms to industry standards. The customer service department is very helpful. Stay on the site for a few minutes and you can talk to a real person via live chat. We asked numerous questions and found them to be very helpful. Garcinia Cambogia Extra and Bauer Nutrition are owned by an investment group in Dubai called ERGO Group who provide investment for technology, health, and wellness. Garcinia Cambogia Extra is sold across the world. You can access your country’s version of the website from any of the Garcinia Cambogia Extra sites. These include Australia, USA, and European countries in the relevant languages including French, German, and Spanish. However, the UK site appears to be the principle site, possibly because this is the country of manufacture. What Does Garcinia Cambogia Extra Claim To Do? According to the product advertising, Garcinia Cambogia Extra works in three ways. There is an explanation about the clinical research into Garcinia Cambogia Extra, which according to the advertising has been carried out by a German doctor called Dr Alfred Hasselbacher. In a 12-week clinical study published in 2000 in the “Journal of International Medical Research,” 300 mg of garcinia extract a day, along with other herbs, was given to obese volunteers. The group receiving garcinia experienced a significant difference in weight loss over the control group — 3.5kg versus 1.2kg — with 85 percent of the reduction due to fat loss. This sounds impressive but it is important to know that there have been numerous clinical trials into Garcinia Cambogia, and not all results have been as conclusive as this. Does Garcinia Cambogia Extra Work? It is hard to evaluate whether this supplement will help you lose weight or not. There have been so many clinical tests, yet research scientists differ so widely in their opinion about Garcinia Cambogia, it is impossible to call. The jury is still out on Garcinia Cambogia as a weight loss supplement! One thing is certain. Garcinia Cambogia is very popular right now with many people looking to try this ingredient. If you fall into this category, Garcinia Cambogia Extra would be a good choice, because it contains 1000mg per serving and 60% Hydroxycitric acid – the active component. It does come with a guarantee, so if you feel it is not working you are perfectly entitled to send it back and claim a refund. 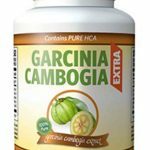 What Are The Ingredients of Garcinia Cambogia Extra? Does Garcinia Cambogia Extra Have Any Side Effects? Garcinia Cambogia Extra looks safe and all the clinical testing suggested it was safe and well tolerated by most people. However, it may cause side effects for some people. Not suitable for individuals under 18. Avoid if you are pregnant or breastfeeding. Speak to your doctor first if you suffer from an underlying medical condition or are taking prescription medication in case of interactions. Cease use if you experience any side effects. Are There Any Customer Reviews For Garcinia Cambogia Extra? Despite being on sale around the world, Garcinia Cambogia Extra is only available from the official websites and there is no platform for independent customer feedback. There are testimonials from so-called genuine customers on the website, but no place for general feedback comments. Does Garcinia Cambogia Extra Offer a Money-Back Guarantee? If for any reason you are not fully satisfied with Garcinia Cambogia Extra simply return the unused Garcinia Cambogia Extra portion in the original container within 67 days of when you received your order. We will refund you 100% of the product price – excluding shipping charges. To obtain the return address, you can just ask one of the customer services advisers via the live chat function or by email. The UK return office is based in Glasgow. As far as we know, the other addresses for returns are based in the country of order. Australian customers will not have to pay for postage back to Glasgow, for example. You can only buy Garcinia Cambogia Extra via the official product websites. This supplement is not on sale in the shops or stores. Prices are provided in your particular country’s currency. The UK site appears to be the principle website. This converts to $54.95 USD, $69.95 AUD, or €49.95. This option is recommended if you have to lose around 7 kilos. This option is recommended if you need to lose 14 kilos. Buy 3 bottle and get 3 free (360 capsules or 6 months supply) for £104.95. This option is recommended if you need to lose around 27 kilos. 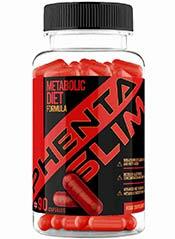 How does Garcinia Cambogia Extra compare to Phentaslim? Garcinia Cambogia Extra is made by Bauer Nutrition, and is manufactured in the UK so conforms to industry standards. It contains just two active ingredients; Garcinia Cambogia, plus smaller levels of Raspberry Ketone extract. Garcinia Cambogia is a popular ingredient for weight loss, however, the claims for Garcinia Cambogia remain unproven. i did lose waight with garcinia cambogia 60 pounds ,not this brand just one from drug store also cut back on carbs and sugary drinks found 1 for 5 dollars a bottle worked just as well have not had any in months an still lose a few pounds ,but over all maintaining weight loss over two years i am looking for product to shed a few more i am 58 years old will pick up a 5 dollar bottle. I didn’t find any reviews for this particular brand of Garcinia Cambogia; any comments? Thanks for the heads up, we will look into this. I tried this product. It did not help me. I did not lose any weight with it. Not worth the cost to me.